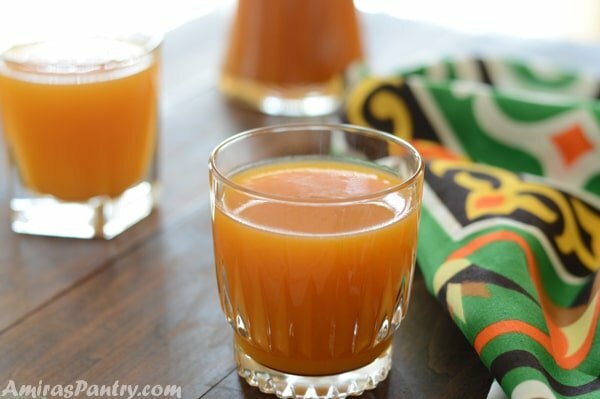 Qamar Al-deen is a Middle Eastern drink that is dried apricot based. It is thick, sweet and delicious. 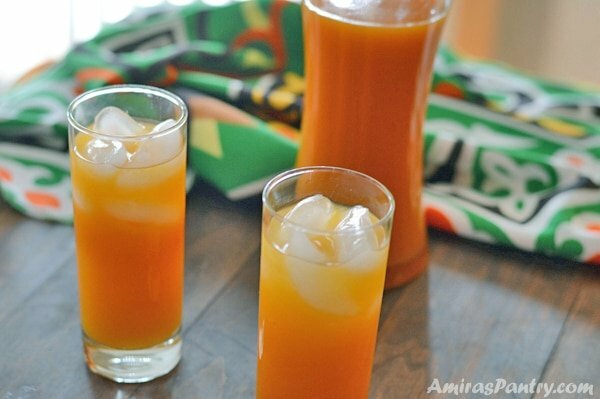 Qamar Al-deen drink is very popular in the Middle East especially during the holy month of Ramadan. It is a forgotten drink all year long until Ramadan comes in. It is one of Ramadan food recipes that is rarely in our fridge the rest of the year. 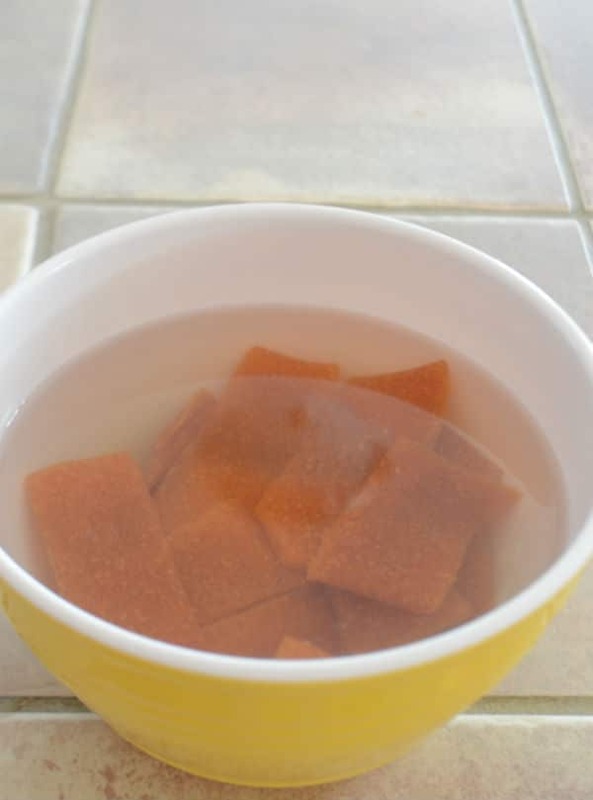 I’ve shared with you before how to make dried apricot leather or Qamar Al-deen paste. And now , with Ramadan almost one month away (May 27th), it is time to show you how to use it. One way is making this drink, another way is to make a pudding which I will share later with you. These two recipes are the most famous in Egypt. Of course there are other ways to use dried apricots in the Middle East, the Moroccan cuisine is filled with such recipes and I will also share more with you in the near future. When I was little, I did not like the drink nor the pudding. It is funny how we dramatically change during the years, may be maturing or may be appreciating more the authenticity of certain recipes :). But this drink in particular, has so many good Ramadan memories. When we break our long fasting day, we are all mostly thirsty than hungry. So as soon as we hear the Athan( call for prayer), which indicates that it is time to break the fasting. 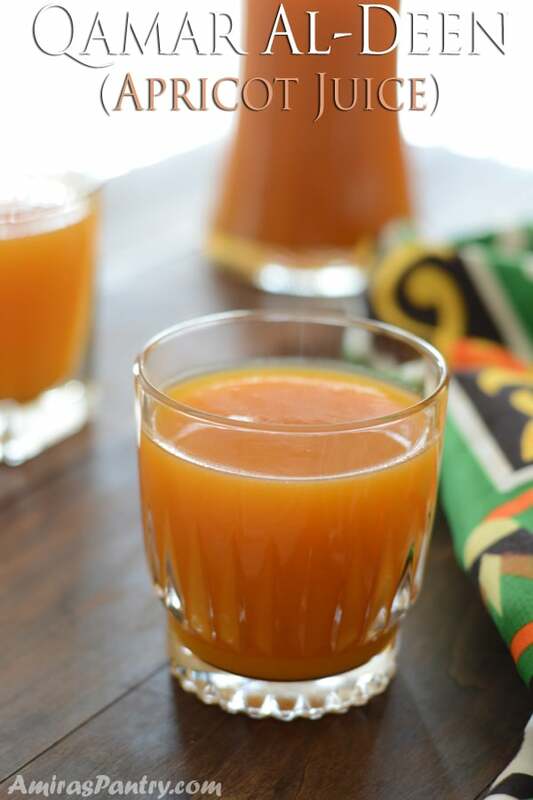 We all rush for drinks, nothing is more satisfying than a sweet thick drink that elevates your energy level as soon as it hits your stomach:). Now let me show you how easy it is to make it. First we’ll cut the dried apricot leather into pieces. Then pour water over to cover and soak overnight. If you are in a hurry you can pour hot water and let it soak for a 2-3 hours. Some people like to put the pieces with water and sugar on the stovetop until fully dissolved. In your blender add the soaked apricot leather with its water and sugar. Some people also like adding some rosewater or orange blossom water. Blend until everything is smooth and well blended. Pour into a pitcher and refrigerate until ready to serve. Sometimes, people strain before chilling. This is usually done if you have lots of pulps and lumps but usually I do not do this. I like my drink as is, thick and sweet, but I only add a couple of ice cubes and I let it melt while I drink it. Many of my friends like adding cold water let’s say 75 juice to 25 cold water and stir in the cup. Few of them like using this drink to just flavor their water. So the bottom line is, you will not know until you try and see what will you like most. You can make this drink and pour it into beverage dispenser topped with ice cubes for your next party. The color is very appealing especially in spring and summer time. 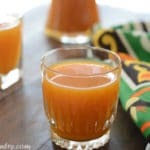 I hope you’ll like this delicious authentic apricot drink…. Until next recipe… enjoy your weekend. A famous Ramadan drink in the Middle East. 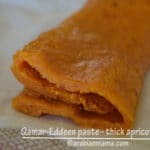 1 package (400gm) of lamar Addeen or home made apricot leather. Cut the apricot leather into small pieces something like 2 inch squares. Put in a deep bowl and cover with water. 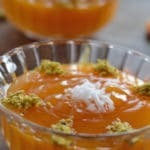 In your blender blend the apricot with water and sugar until no lumps are visible. Strain if you like, I do not strain mine. Pour into a pitcher and refrigerate until serving time. * If you are in a hurry and do not have time to soak it overnight. ** You can always add more if you wish to but I find this sweetness is the just right for us. *** If you wish you can dilute the juice in serving cups or add more sugar, just adjust to you level of likeness. 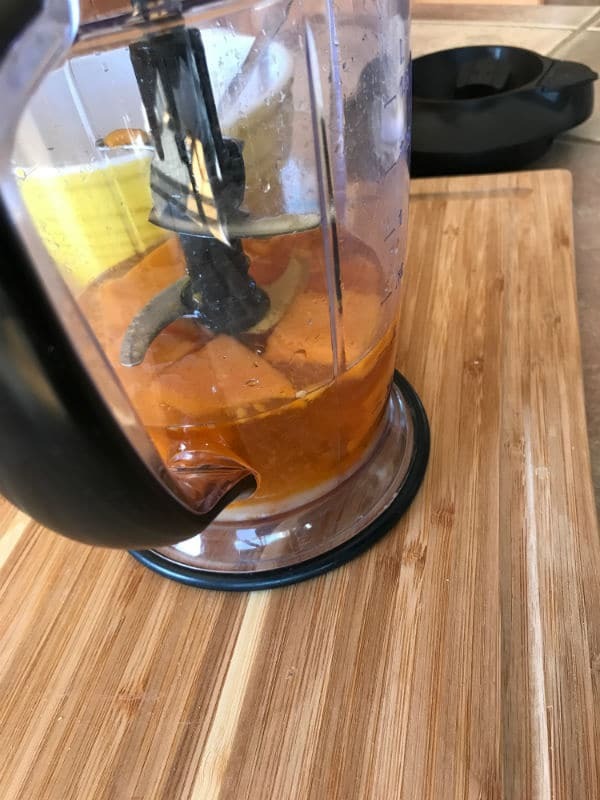 I like serving it as is with some ice cubes, when the ice cubes melt it dilutes the juice by itself and I do not need any more cold water. 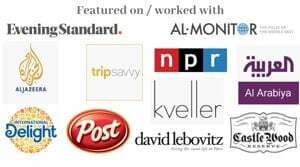 Just discovered your site and boy, I am so glad I did. 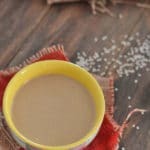 This drink is my husband’s favorite all year long. He says it reminds him of home. Thank you for all what you do. Thanks Tammy, if there is any recipe you wish to know about do not hesitate to contact me. This sounds delicious, Amira. Ramadan Mubarak. 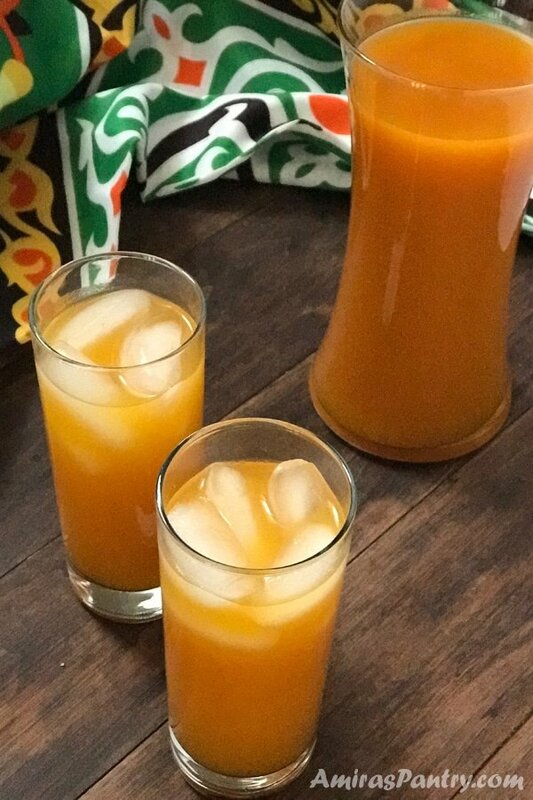 Amira, thanks so much for sharing how this drink fits into Ramadan. 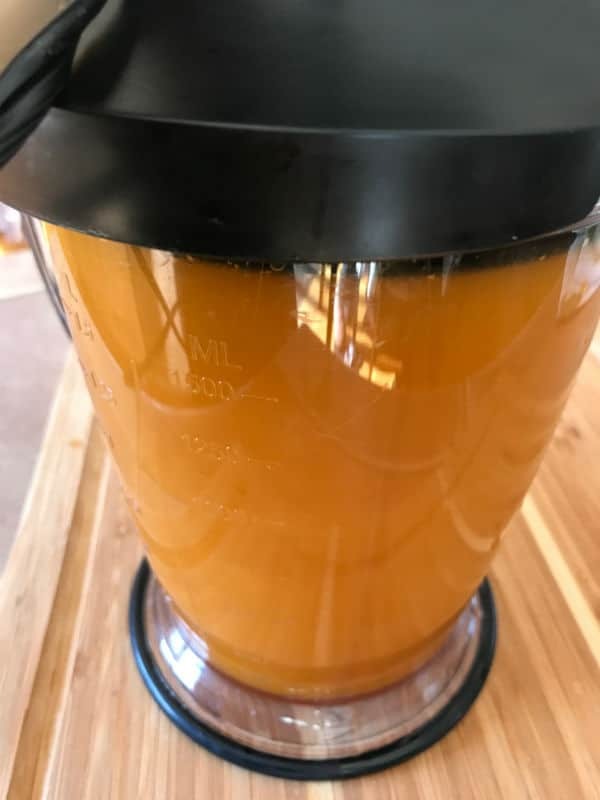 It looks so refreshing and much better than the ‘canned’ apricot juice that I used to buy! Definitely better than the canned one.. try it and you’ll never look back :). Wonder if my husband would be a fan of this! I sadly cannot eat fruit, but it looks like some sticky goodness! It is very good especially when you dis not have anything to eat the whole day :). Thanks Gigi.